Philip Adler of North American Properties closed on the Goshen Plaza on July 1st and is now taking steps to repair the plaza’s ailing reputation. 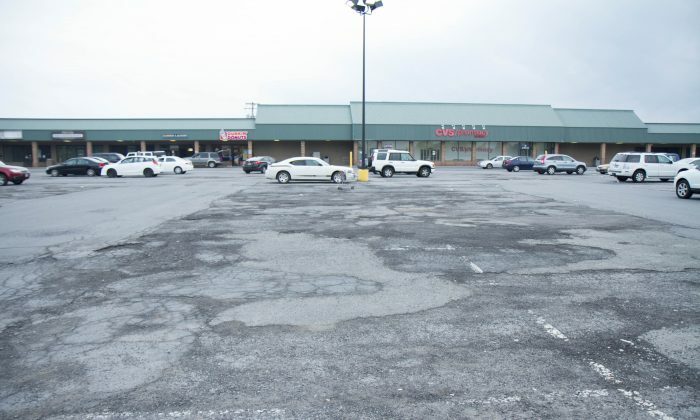 He said he was aware of the community’s desire to have a supermarket in the plaza where Goshen’s only supermarket, Grand Union, was closed 14 years ago. “It clearly is a need that needs to be addressed for the community and we’re optimistic that we’re going to be able to do that on this property,” he said in a phone interview. Adler said he had approached a number of grocery store chains and that “several” of them expressed interest, without specifying which or how many. Adler said he is meeting with planners now to reorient the plaza towards Matthews St., which is “the more prominent street that it should be facing,” he said. The current structure would not be entirely torn down, he said, but redesigned to face southwest instead of northeast. In addition, he plans to expand the square footage of the plaza. He imagines a standalone structure for the new grocery store and possibly adding extra space for retail as well. He has approval for 99,000 square feet, which is almost double what the existing structure is and is keeping that number in the back of his head as his company plans. The other request he has heard loud and clear from the community is to repair the plaza’s facilities. “The parking lot and the sidewalk is a challenge that hasn’t been addressed in some time and that would be our first priority,” he said. This will take a back seat to finalizing a site plan however, so he can start seriously approaching potential grocers with a proposal. “The key to moving forward is securing the grocer anchor, and so we’ve been working on some site planning modifications,” he said. He said the buildings also need renovation, but until the list of tenants has been nailed down, no work on the buildings would be done. He said his property manager was in contact with the current tenants, and of the ones Adler had spoken with, all expressed interest in staying, including the CVS. “If they’ve made it through what I think is probably a rough period for this center, and they’ve survived, I think they can only stand to do better,” he said. Adler had been looking at the property for several years before it went up for auction, he said. North American Properties, based in Rye, New York, does not own any other property in Goshen, he said, but this isn’t the first time it has taken a failing property and made it profitable. Adler has been in talks with the mayor and says that although he does not have plans to meet directly with the community, he is attuned to its demands. To contact this reporter, email holly.kellum@epochtimes.com.